This is a condition whereby bony spurs grow on the head of the femur (the thigh bone) and/or in the socket at the hip. This condition can be caused by repetitive movements or a trauma, recent studies suggest that it is attributed to poor posture with the pelvis sat in an anterior tilt. Symptoms can include stiffness in the thigh, hip or groin as well as an inability to flex the hip beyond ninety degrees. 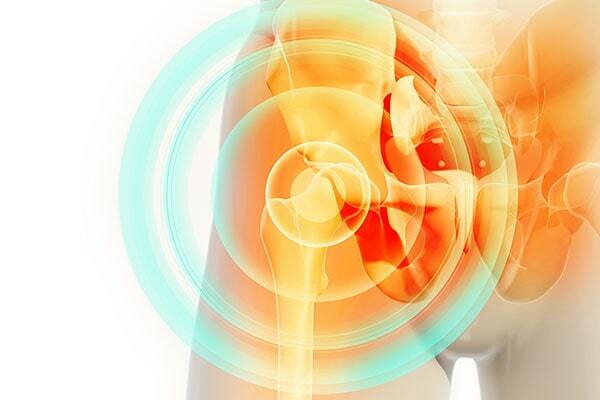 This is the most common cause of hip pain, a bursa is a fluid-filled sac or a fat pad which helps to reduce friction between moving tissues. The term bursitis simply means inflammation of the bursa, on occasions (though rare) the bursa can become infected. The main symptom of bursitis is pain down the outside of the hip and thigh, this will usually get worse over time if there is no intervention, so much so that it may produce a limp when walking. Eventually it will become painful when at rest and possibly cause trouble when sleeping. The labrum is a layer of soft tissue which acts as an added layer of cushioning and stability within the socket of the hip joint. A tear on the labrum can be caused by an acute injury or with repetitive movements which cause wear and tear over time. Some people will feel no pain at all with a labral tear, others however will commonly feel an ache in their groin, over the outside of their hip or deep in the glutes. This injury can often cause a feeling of the hip ‘catching’, ‘clicking’ or ‘locking’. 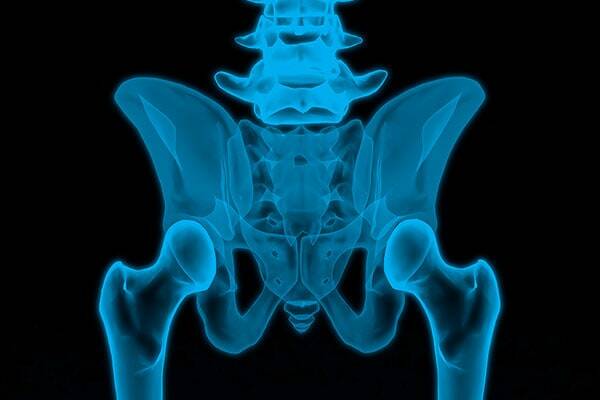 In some cases surgery is recommended to rid the hips of the bony spurs, this however should be a last resort. Changing activities in order to avoid movements that place unwanted stress on your hips will allow them to rest and heal, during this time certain exercises can be introduced to increase strength around the hips, upper legs, groin and abdomen. It is key to work on improving posture to provide long term pain relief. A combination of rest, ice, anti-inflammatories and exercise is the most beneficial for bursitis. Rest and ice will help to reduce the pain around the joint. Once the pain has subsided, controlled stretching of the glutes and ITband along with some strengthening exercises for the glutes and outside of the upper thigh will help to support the joint long term. Fortunately not all labral tears require surgery, it can occasionally be managed through relative rest (avoiding painful activities), selective stretches and strengthening exercises and anti-inflammatory medication. If this does not prove to be successful however, surgery should be considered.